Licking’s standout season continues after the Wildcats’ 48-37 win over Liberty (Mountain View-Birch Tree) in the district championship game, Licking’s first district title in 18 years. The win avenged an early season loss to the Eagles, a 65-52 setback on Dec. 12. The Wildcats went unbeaten in the month of February, with their last loss a one-point nail biter to Class 4 second-ranked Rolla on Jan. 24 in the championship game of the St. James Tournament. Simply put, the Wildcats are playing their best ball of the season at the right time. Licking’s Sectional foe will be a familiar one, as the Wildcats are set to battle Blair Oaks for a spot in the Class 3 state quarterfinals. 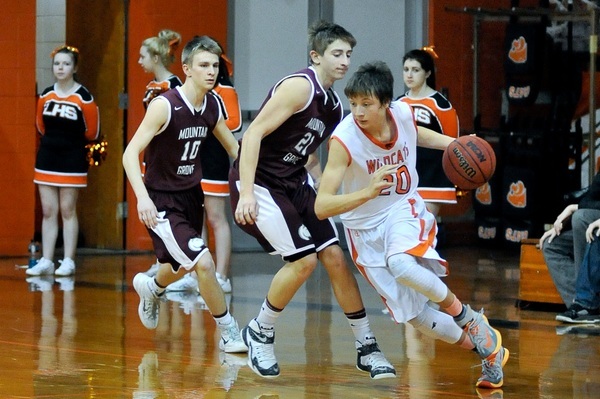 The Wildcats handled the Falcons rather easily in a 73-50 victory on Jan. 23 in the St. James tourney semifinals. The biggest challenge for Licking will be shutting down the Falcons’ two-headed backcourt monster of senior Kory Franks and sophomore Cody Alexander, both of whom are capable of getting hot and scoring in bunches. Senior Jordan Null is also a scoring threat, as are juniors C.J. Closser and Collin Luebbering. However, Blair Oaks will have its hands full with the Wildcats’ All-Everything senior standout, Lane Duncan, who averages almost 29 points per game and who is one of the top all-around players in the state. Duncan nearly averages a double-double (9.6 rebounds), while also dishing out 2.3 assists per contest. 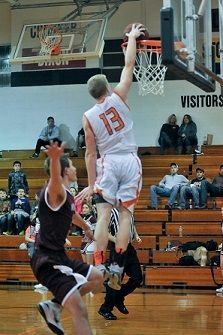 Sophomore Nathan Wilson provides scoring help for Duncan, and averages 15.1 points and 4.8 rebounds per game. Brady Smith’s averages do not jump off the page, but the sophomore’s consistent contributions have played a key role in the team’s success. Licking’s resume is impressive, with three of the Wildcats’ four losses to state-ranked teams (Class 2 #5 Hartville and #4 Iberia are the other two defeats). Licking has had some pretty good teams in the past few years, but have not been able to get over the district hump—until this year. Now the Wildcats would like to keep playing a little while longer. If Licking beats Blair Oaks, then the Wildcats will advance to the state quarterfinals to face the Strafford-Mt. Vernon winner at 5:00 p.m. on Saturday at Drury University.